Have there been worldwide catastrophic events in mankind's more recent past? Catastrophism! is a CD-Rom disc where you can investigate this suggestion for yourself. 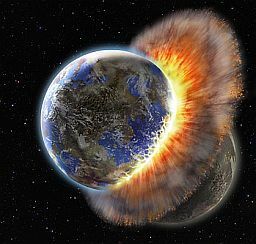 Catastrophism! contains thousands of articles from the leading journals over the past 30 years, plus as much again from other publications and Web sites. Not all the material is supportive, and indeed, there is much dialogue and debate, with many contributions plainly against some of the ideas put forward. You decide. Are ancient myths works of fiction, or do they contain details of real historic events and events in the Earth's history? Have the Earth's features been developed gradually over millions of years purely by the processes we see today, or have catastrophic upheavals played a major part? Has the Solar System undergone upheavals during historic times and does electricity play a much bigger role in the cosmos than currently thought? Ancient Egyptian history has formed the basis for the chronologies of most ancient civilisations, but have the Egyptologists got it wrong? Have they falsely inflated it with 'ghost' centuries and rulers, generating corresponding distortions in all the surrounding areas? "By Catastrophism I mean any form of geological speculation which... supposes the operation of forces different in their nature... from those which we at present see in action." Huxley in Sci. Opinion 21 April 1869 (464/1). 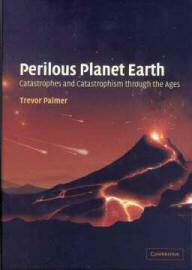 Perilous Planet Earth places our present concern about the threat to Earth from asteroids and comets within an historical context, looking at the evidence for past events within the geological and historical records. The book looks at the way in which prevailing views about modes of global change have changed dramatically over the years. It also considers the way in which catastrophic events are now seen to have influenced the course of evolution in the distant past, as well as the rise and fall of civilisations in more recent times. Professor Palmer argues that the better we understand our past, the greater the likelihood that we will be able to take appropriate action to preserve our civilisation for the future. Written in an engaging style that avoids jargon, the book will appeal to general readers and academics with an interest in evolution, geology, astronomy, social anthropology and history. Contents: Introduction; Part I. Catastrophism: The Story of its Decline and Fall … and Resurrection: Section A. From prehistory to 1899: Catastrophism dominates for centuries, but then gives way to gradualism: 1. Mythology, religion and catastrophism; 2. Hutton: fact and fiction about the origins of modern gradualism; 3. Cuvier and Lamarck: choosing between extinction and evolution; 4. Natural theology and Noah's Flood: the high-water mark of catastrophism; 5. Catastrophism, uniformitarianism and idealist philosophy; 6. Lyell triumphant: gradualism dominates geology; 7. Darwin and evolution; 8. After the Origin: the triumph of evolutionary gradualism; Section B: From 1900 to 1979: Gradualism reigns supreme: 9. Neo-Darwinism: the Modern Synthesis; 10. Phyletic gradualism; 11. Gradualist perceptions of human evolution; 12. Heretical catastrophists; 13. Atlantis: rational and irrational theories of a ‘lost' civilisation; 14. Evolutionary mass extinctions and neocatastrophism; 15. Punctuated equilibrium: a new evolutionary perspective; 16. Human evolution: gradual or punctuational? ; Section C. From 1980 to the present day: Catastrophism strikes back: 17. Evolution evolving; 18. Into the new millennium: evolution today; 19. Chaos in the Solar System; 20. Catastrophes on Earth; 21. The death of the dinosaurs: iridium and the K-T extinctions; 22. The continuing K-T debate; 23. Mass extinctions and the course of evolution; Part II. Catastrophes and the History of Life on Earth: 24. Extinctions large and small; 25. Cyclic processes and mass extinctions; 26. The uncertain origins of humankind; 27. Ice ages in the Pleistocene epoch; 28. Modern views of Atlantis; 29. Natural catastrophes and the rise and fall of civilisations; 30. Conclusions; References; Index.